Coconut and chocolate make the perfect combo! 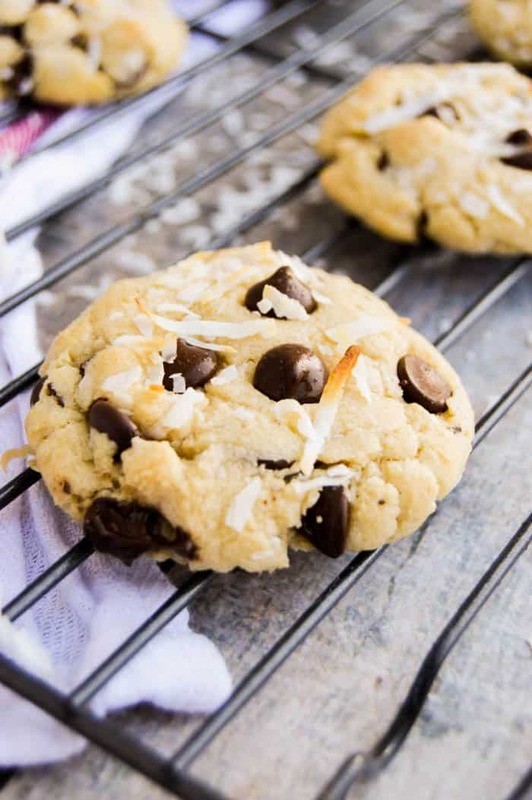 These Coconut Chocolate Chip Cookies are perfectly baked and loaded with chocolate chips and shredded coconut. Coconut and chocolate make an awesome combo! It’s been a favorite of mine since childhood with I discovered the candy bar Mounds. It’s been one of my favorites since then and this cookie was inspired by those flavors. It’s simple to make and taste amazing. A must try cookie for sure. And if you love cookies as much as I do then check out a few of my other favorites next. Once creamed together add your vanilla and eggs. Slowly mix and add this to the creamed butter and sugar. 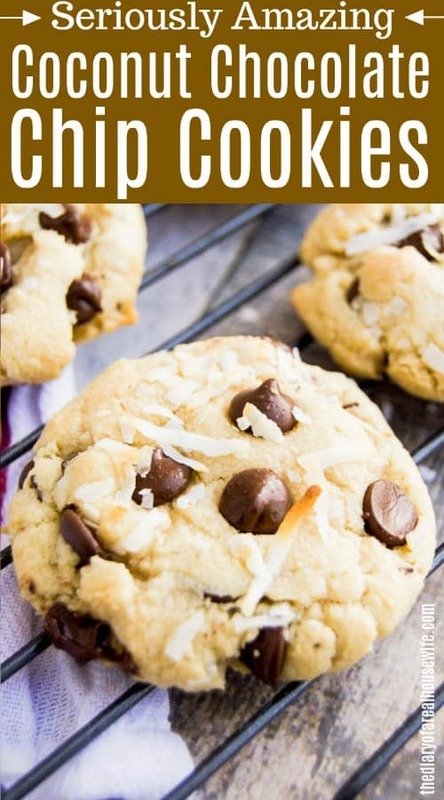 Fold in chocolate chips and 1/2 cup coconut flakes. Allow to chill for 1-2 hours in fridge. Spoon and roll out unto a prepared cookie sheet. 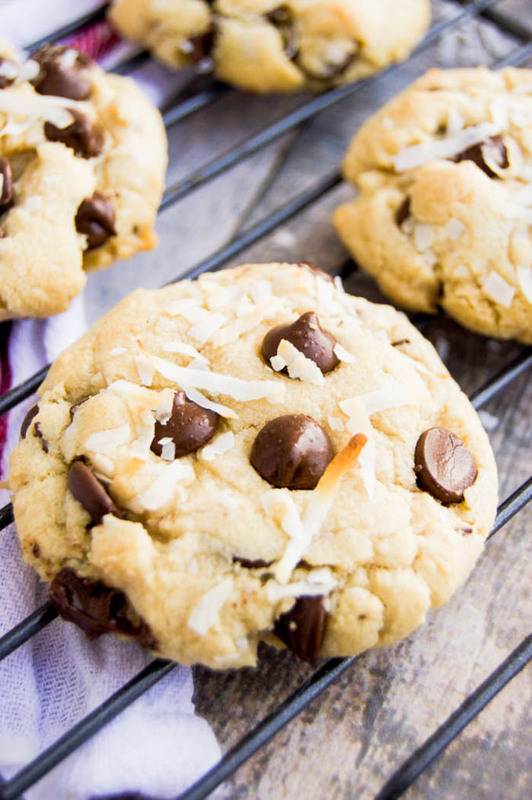 Top the cookies with the reamining coconut flakes. Allow to cook for 7-8 minutes. Remove and leave on pan to cook for 2-3 more minutes. Chocolate Chip Cheesecake Dip: This dip is one of my favorites and perfect for dipping fruit in. Chocolate Fudge: Talk about an easy dessert recipe! I made this for Christmas last year and everyone loved it, I didn’t tell anyone I made it all in the microwave. Edible Chocolate Chip Cookie Dough: No baking here! Just grab a spoon after mixing and enjoy. Cream together butter and sugar. Once creamed together add your vanilla and eggs. In a separate bowl whisk together flour, baking soda, baking powder, and salt. Slowly mix and add this to the creamed butter and sugar. Mix until well combined. Fold in chocolate chips and 1/2 cup coconut flakes. Allow to chill for 1-2 hours in fridge. 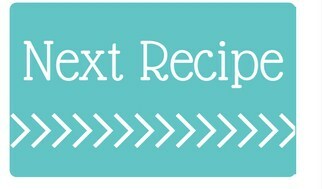 Preheat the oven to 375 degrees F. Prepare a cooking sheet parchment paper or non stick cooking spray. Spoon and roll out unto a prepared cookie sheet. Top the cookies with the reamining coconut flakes. Allow to cook for 7-8 minutes. Remove and leave on pan to cook for 2-3 more minutes. Remove and allow to cool on a rack. ENJOY!